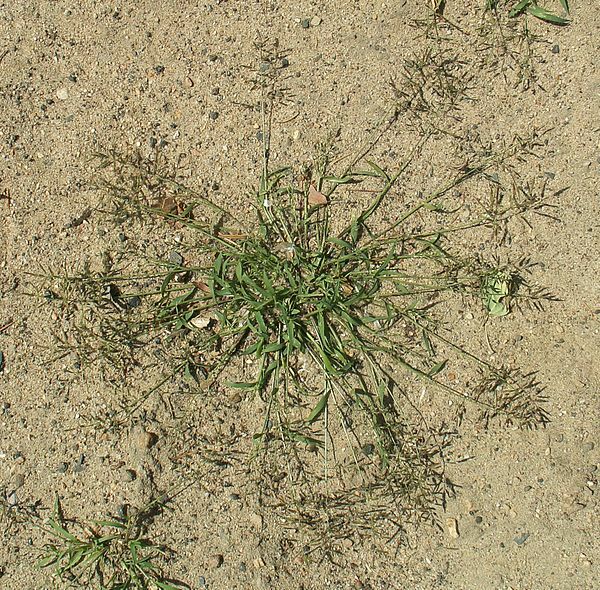 Eragrostis minor plant. commons.wikimedia.org (Accessed 5/2018). Eragrostis minor is is an annual, C4 grass (Halvorson and Guertin 2003) densely tufted, 10-40 cm tall, usually reclining, base bent. Much like E. cilianensis; leaf sheaths hairy on margins sometimes on back. 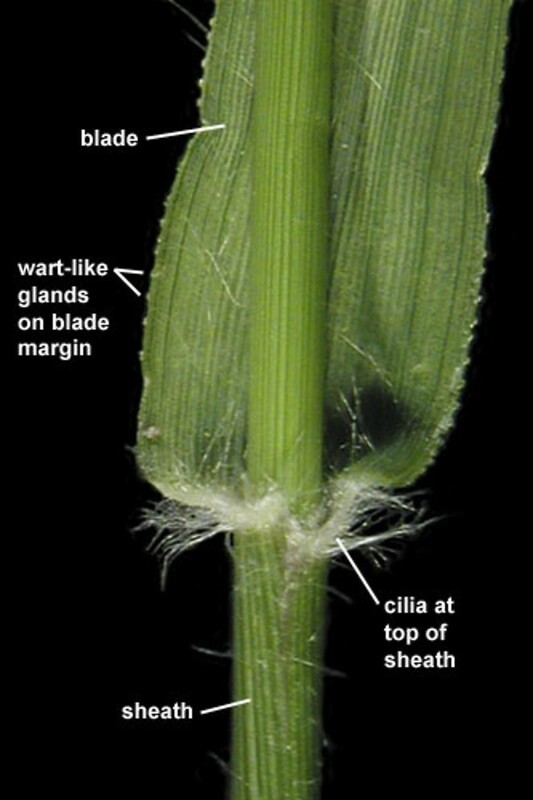 Eragrostis minor leaf blade and sheath. By Anna Gardner. Copyright © 2018. Ada Hayden Herbarium – Iowa State U. New England Wild Flower Society. gobotany.newenglandwild.org (Accessed 5/2018). Leaves alternate, 5-10 cm long, 0.3-0.5 cm wide (Hilty 2006). Flower spikelets 0.4-1.1 cm long, 0.2 cm wide, 5-12 flowered, lemmas 0.2 cm, without glands; axils of inflorescence branches hairless. 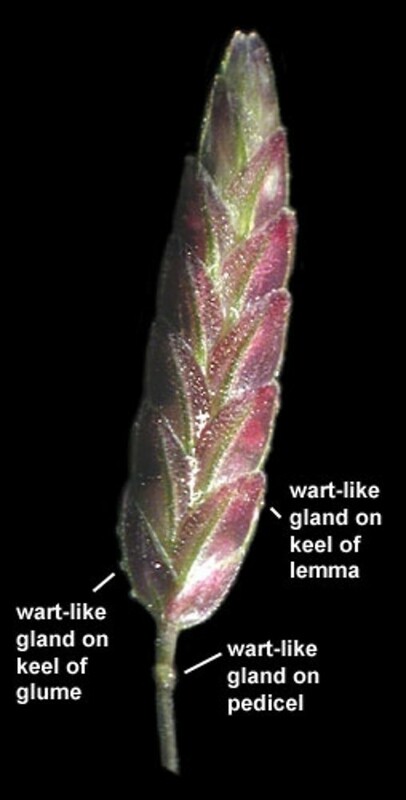 Eragrostis minor spikelet. By Anna Gardner. Copyright © 2018. Ada Hayden Herbarium – Iowa State U. New England Wild Flower Society. gobotany.newenglandwild.org (Accessed 5/2018).